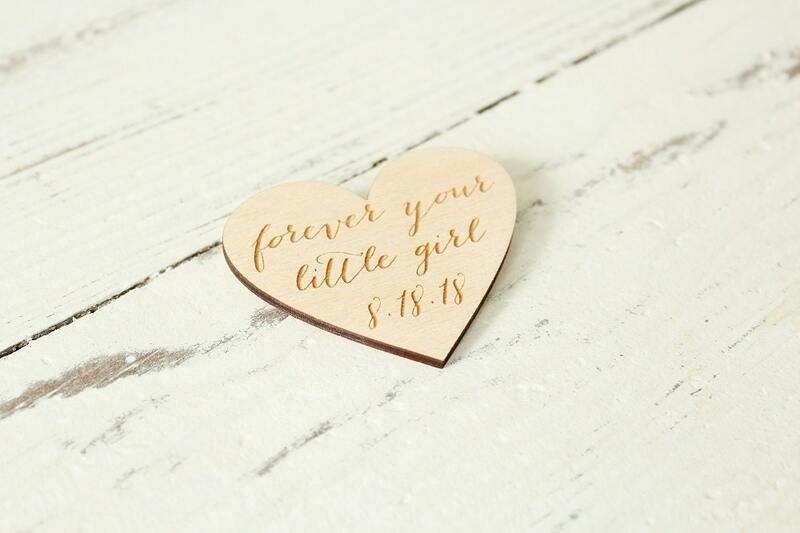 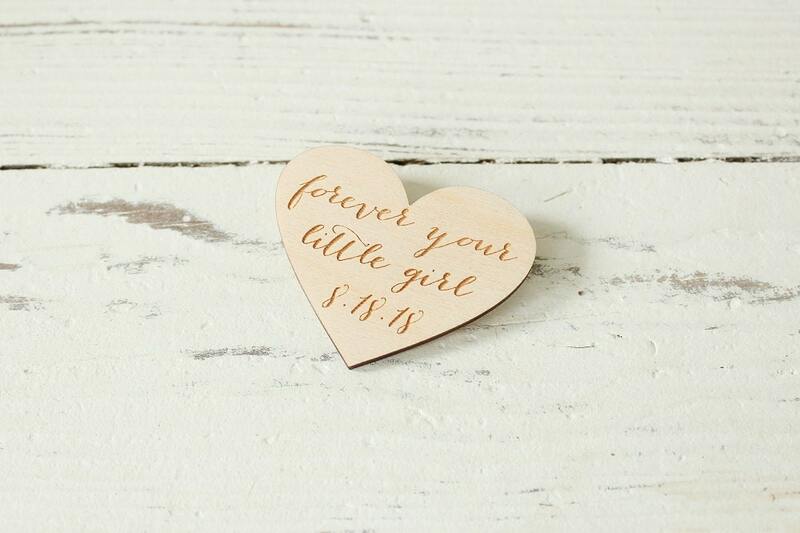 'forever your little girl' w/date tie clip. 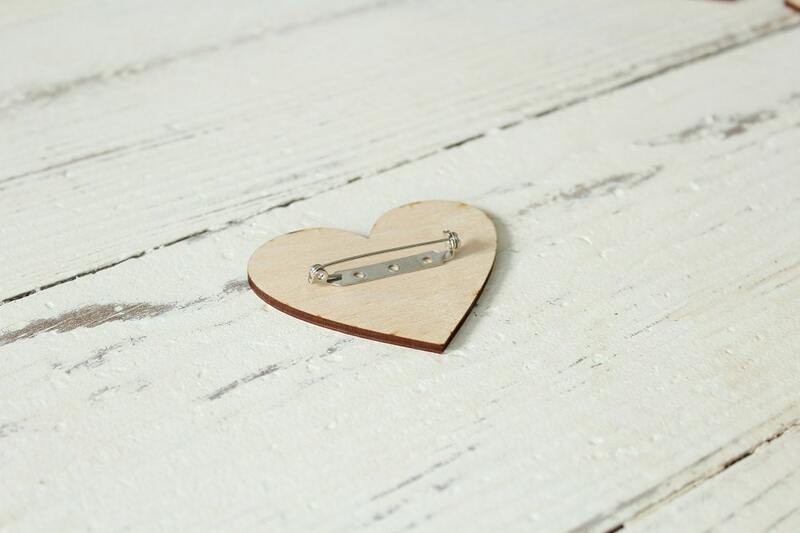 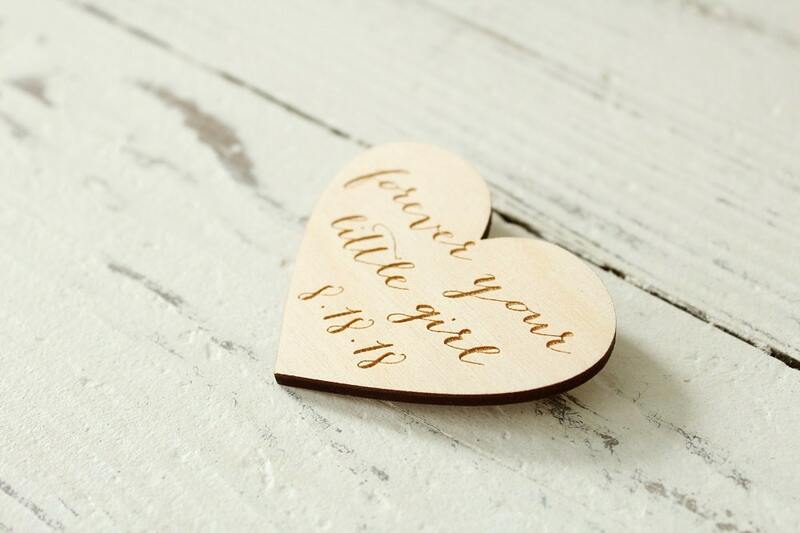 Makes a great gift memento simply attach this adorable wood heart to the inside of the father of the brides tie. 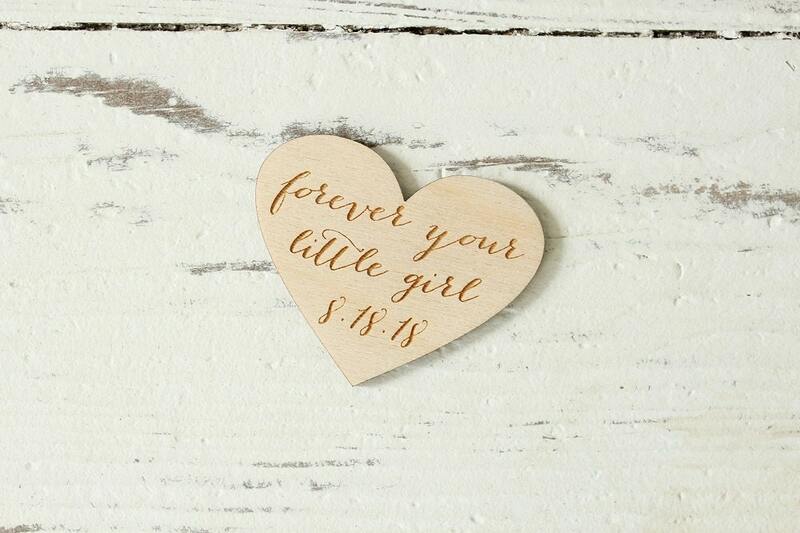 Please leave the date or any custom text you would like engraved on the heart in the notes to seller upon checkout.